We all know that ours is a highly populous country. We find people wherever we go. Or rather make that a crowd wherever we go. By our human tendency and most probably because of our nature, we often try to run faraway and as quickly as possible away from the crowd. However, there is one huge crowd that gathers and it is none other than the place we call it as ‘The Kumbh Mela’. Recently, I got a wonderful opportunity to virtually be present at the Kumbh Mela which took place in the year 2013 at Allahabad. I got to view a documentary film, ‘Conversations at The Kumbh Mela‘ and the film definitely changed my perspective about the Kumbh Mela. I always thought that people simply visit the Kumbh Mela to wash off the sins committed by them in their lifetime by having one dip in the river Ganga and asking for forgiveness. But, the documentary proved to be an eye opener for me. The documentary for a once doesn’t even go on the tested lines, depicting the crowd, the struggles, the long queues, the not so clean bank of the river and the surroundings. Instead, it talks about the total chaos and how the authorities there manage with the support of thousands of policemen and good Samaritans who choose to donate time, help, food etc. The documentary starts with the main reason as to why the importance of Kumbh Mela and how it was started. The story behind it based on old facts dated centuries ago threw light on the importance and how it has evolved over time. 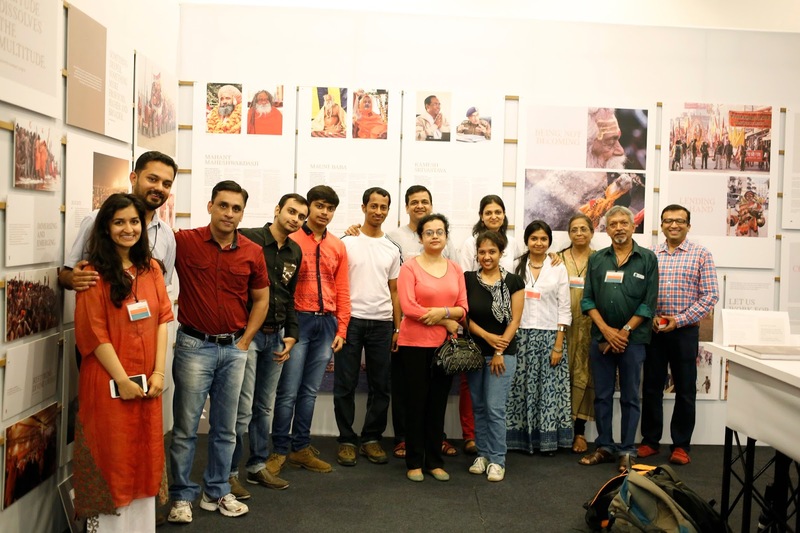 The documentary ‘Conversations at The Kumbh Mela’ is basically an attempt to capture the ‘not so seen’ areas and aspects that goes in a Kumbh Mela as compared to other documentaries and films on The Kumbh Mela. What did strike the chord with me is how the documentary is made, without showcasing the common but the aspects of being in that space at that time on the banks of the Ganges. It tries to put the spirit back into the mythological stories. I realized that there are plenty of stories to be heard, to be seen, visualized and captured in your memories by being there. The stories of the lost and found, talking with a complete stranger and then befriending them, helping out strangers, planning and organizing this mammoth get-together of thousands of people day in and day out is what the Kumbh Mela for me stands for apart from the actual reason. It is basically a sea where people from all walks of religion and nationality are united by faith and harmony. The documentary made be realize that standing on the holy piece of land, you forget who you are. You simply move and act in good faith and it is only Faith that leads people to do surprising things over there. After the documentary, I also got a chance to interact with the director Yashodara Udupa and her team. The one thing that came out from the interaction is that, the Kumbh Mela was an experience of sorts for them. With plenty of stories, of different, unknown people, drifting by as you move on, the Kumbh Mela is surely going to make you a somewhat changed and a better person, if nothing else. Below is a trailer of the documentary. Please do have a look at it and you will realize that, what I have experienced just by viewing the documentary, even you will experience the same. Presently, the Kumbh Mela is going on in Nashik and it will be there till 25th September. So pack your bags and experience a holy and a life changing event. Also, a vote of thanks to BlogAdda for having me at the screening of this wonderful documentary. Lovely , thanks a lot.